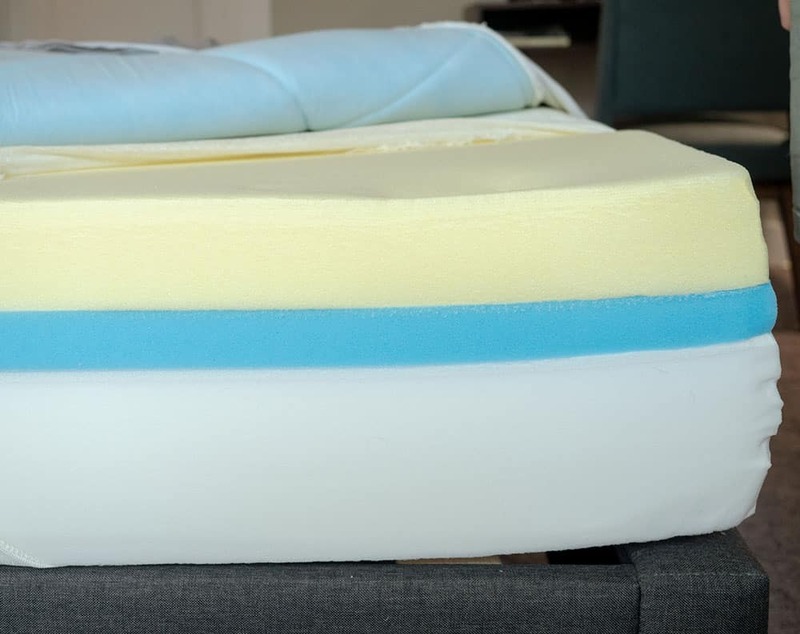 Leesa Vs Nectar Mattress- Which Should You Choose? 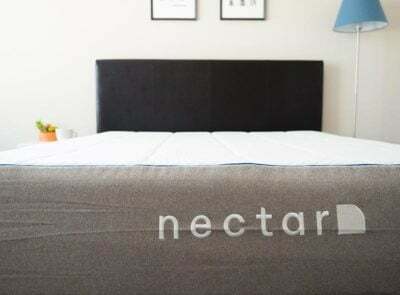 Home » Leesa Vs Nectar Mattress- Which Should You Choose? 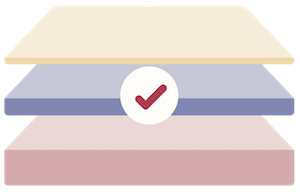 How do you decide between two wildly popular online mattresses? You’re going to want to know about their construction, firmness, and feel. To help you choose between the Nectar and Leesa mattresses, I have broken them down based on these criteria. With this information, you should have no problem making a decision. Which will be the mattress for you? Read on for my full comparison. These are both very popular mattresses. The Nectar is softer than the Leesa. 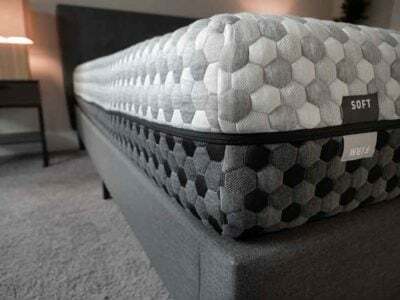 Nectar has memory foam on top, and the Leesa has a latex-like foam on top. The Nectar has a classic memory foam feel, and the Leesa has a balanced foam feel. The Leesa is 10” tall. The cover is thin and soft. Next is a 2” layer of a latex-like Avena Foam. Then there is a 2” layer of contouring memory foam. The support layer is 6” of a Core Support Foam Base. The mattress is 11” tall. The cover is soft and woven together with Tencel fabric. There is 1” of gel memory foam quilted into it. Next, there is a 3” layer of a soft, slow-responding, gel memory foam. Then, there is around 1” of a foam transition layer. Finally, the base layer is around 6” thick. They both have soft covers, but the Nectar’s cover has gel memory foam quilted into it. This adds another layer of soft pressure relief. The top layer of the Nectar is memory foam and the top layer of the Leesa is Avena foam. 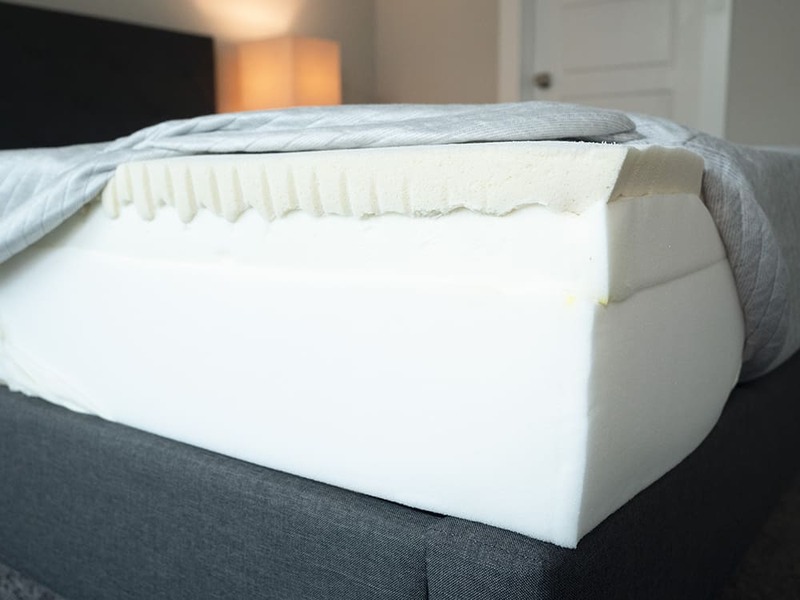 The Avena foam is going to be more responsive so that it is easier to move around on the mattress. Also, the Avena foam has holes in it which allow for airflow. It should be a more breathable top layer than the memory foam layer found on top of the Nectar. The placement of the memory foam gives the Leesa a balanced foam feel and the Nectar a classic memory foam feel. The Leesa felt like a 6.5/10 in terms of firmness, and the Nectar felt like a 6/10. The Nectar is definitely the softer of the two mattresses. On the Nectar, I felt good support when I was on my back. My hips sunk in just the right amount, and I was in good alignment. However, I think I felt better support when I was on the firmer Leesa. On my side, I felt a little pressure on the Nectar at first, but I felt the pressure slowly go away. I felt a bit more pressure when I was on the Leesa. On my stomach, I felt supported somewhat on the Nectar. However, out of the two mattresses, I think the Leesa supported me better on my stomach. In terms of feel, the Leesa has a balanced foam feel, while the Nectar has a classic memory foam feel. With the Leesa I slept “on” the mattress and, with the Nectar, I slept more “in” the mattress. It is definitely easier to move around on the Leesa. You can see the firmness and feel differences in the videos below. 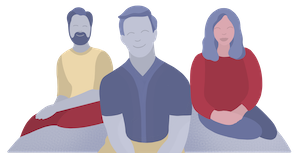 When it comes to motion isolation, memory foam is usually very good. Since it has memory foam in its top layer, I believe the Nectar does a better job of preventing motion transfer. You should feel less of your partner’s movements on your side of the bed if you go with the Nectar. It should be the better mattress for couples. You can see the motion isolation differences in the videos below. While neither of these mattresses is very firm, the Leesa is definitely the firmer of the two mattresses. Because of this, I think it has better edge support. I felt less compression sitting near the edge, and I felt more secure lying near the edge. You can see the edge support differences in the photos below. Marten is a staff writer for us. He has a much different body type than me: He is 6’7″ and weighs about 230 lb; I am 5’9″ and 160 lb. Here is what he thought about these two mattresses. I said the Nectar was 6/10 in terms of firmness, and the Leesa was a 7.5/10. Joe and I had different experiences, but we did agree the Nectar was the softer of the two mattresses. On the Nectar, I felt good support when I was on my back. I could feel the foam pressing up into my lumbar area. On my side, there was a little pressure on my shoulders and hips, but it did soften up. On my stomach, I definitely needed more support. I was bowing in at my hips and getting out of alignment. On the Leesa, I also felt supported when I was on my back. On my side, I felt more pressure than I did on the Nectar. On my stomach, I needed more support. I was bowing into this mattress as well. If you’re a heavier side sleeper, you could be okay on both. However, I felt a bit better pressure relief on the Nectar. If you’re a back sleeper, either should work for you. Finally, if you are a stomach sleeper, I’m not sure if either are going to work for you. You probably want a mattress that is firmer overall. Marten had a bit different experience on these mattresses, but he did agree that the Nectar is the softer mattress. 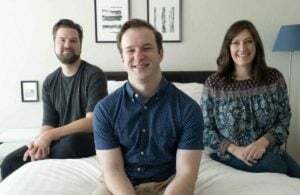 However, because he is a heavier person, he felt a bit more pressure on the Leesa and neither mattress gave him the support he needed when he was on his stomach. You are a back or stomach sleeper. The Leesa definitely is the firmer of these two mattresses and it features better overall support. If you sleep on your back or stomach, this could be the way to go. You prefer a mattress with some bounce. The Leesa is firmer and does have some bounce. Between the two mattresses, it should be easier to move around on the Leesa. You prefer a balanced foam feel. 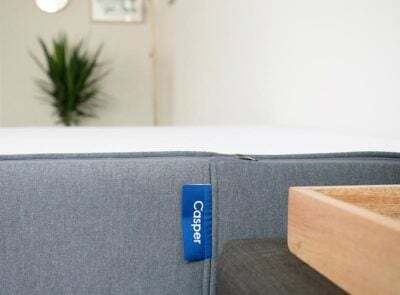 If you prefer to sleep “on” your mattress rather than “in” it, this is the clear choice. If you don’t like to sink into your mattress, I would go with the Leesa. You prefer a softer mattress. This is definitely the softer of the two mattresses. If you like something a bit softer overall the Nectar is the better choice. You are a side sleeper. In my personal experience, the Nectar gave me better pressure relief when I was on my side. Also, looking at the pressure map, it is clear that the pressure relief was better on the Nectar. If you sleep on your side, this is mattress to choose. You like a classic memory foam feel. If you like to slowly sink into your mattress, this is the mattress to choose. It has that slow compression and you sleep more “in” the mattress rather than “on” the mattress. These are both very nice mattresses with a lot to offer. The Leesa is a better pick if you sleep on your back or stomach. Also, if you like a balanced foam feel, this mattress is the way to go. 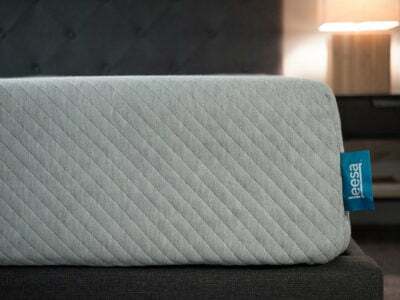 If you are a side sleeper and like a classic memory foam feel, I would go with the Nectar. Please leave any specific comments or questions about the Layla or the Leesa in the comment section below.